Have a slice of the action with Voodoo Ray’s ultimate pizza experienceBalans Soho Society: A look at their refreshed restaurants and menuCan McDonalds ‘Signature Collection’ really compete in a crowded market? They call themselves the original gourmet pie company and Square Pie aren’t just another chain trying to impersonate a British classic. Square Pie started in 2001 when a recently unemployed Martin Dewey dreamt up the idea of putting pies everywhere. Martin set up Square Pie after being disappointed at the quality of pies in London, and wanted to bring something gourmet to the table. Since then they’ve popped up all over the place and are a firm favourite at Glastonbury too. 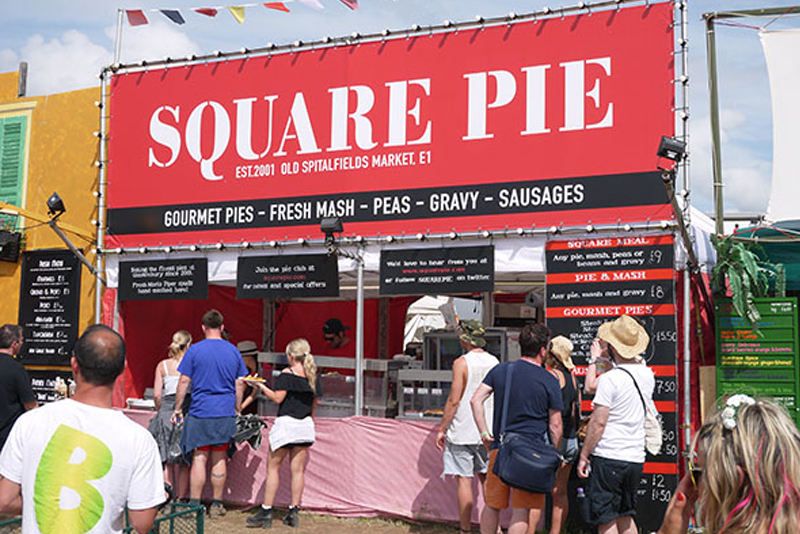 In the fourteen years since Square Pie started, the company has opened several shops including both London Westfield’s, The O2 and Grand Central Birmingham and produced over one hundred and twenty different varieties of pie. If you don’t have time to pop in and want your work to get involved why not try their canapies? They’re small ‘3 bite pies’ that are available for people to order for work. The golden parcels come in a variety of flavours such as Chicken Balti, Chicken & Mushroom, Spinach, Steak & Ale and Sweet Potato and Goats Cheese, and can be eaten hot or cold. Yum. Pies aren’t all they do. Alongside a selection of sides including beans, mushy peas and mash they also offer great jacket potatoes with crispy skins and lots of topping options, plus great sausage rolls. Alongside your dish you can enjoy some fantastic craft ales too including Beavertown, Redchurch, Camden town, Four pure, Kernel and Harvieston. Plus ciders from Sandford Orchard, Bullbeggar and Hawks urban cider. They’ve also recently set up on Deliveroo meaning you can order some hot British grub from their Birmingham or London stores straight to your kitchen table, without all that hassle of peeling the potatoes. 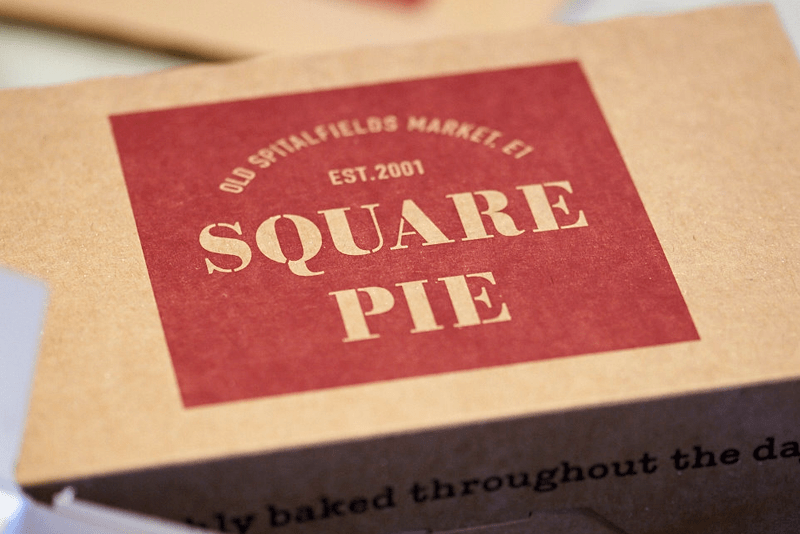 Square Pie is available at Spitalfields, Westfield, Bluewater, The O2 and Birmingham Grand Central. London is about to get its own emoji... and you can help pick it!